Customers, Scope staff, family and friends all had a fantastic day at the Melbourne Marathon. The Melbourne Marathon Festival is an epic running event held in October that sees participants of all abilities and fitness levels reach their fitness goals. Scope Team Ability tackled the run this year with their largest team of participants yet. 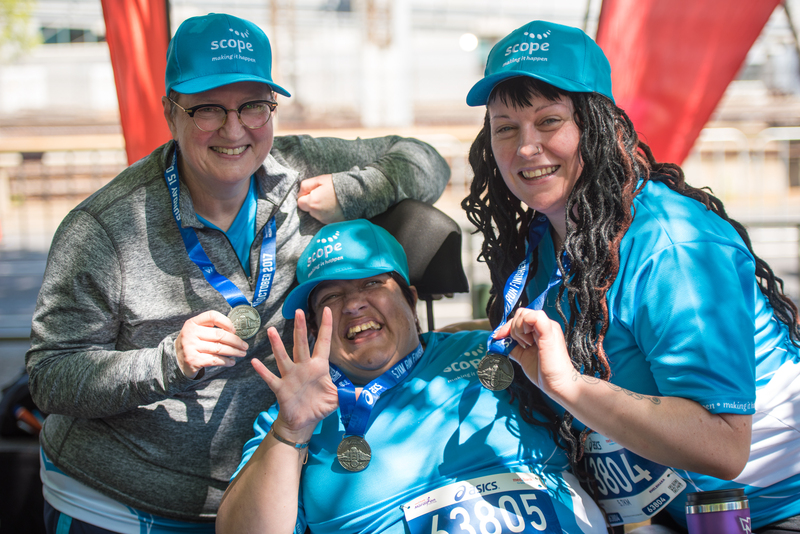 All distances were covered on the day, with Scope taking part in every event from the 3km walk to the full marathon! The most amazing part of the day by far was watching all of the Scope Team Ability team mates cross the finish line. This was a wonderful moment for everyone that competed in the race, with family, friends and team mates cheering each other on. Ben Hill challenged himself once again by leaving his wheelchair behind to walk across the finish line with his dad, Graham – an incredibly special moment for Ben, his supporters and family. “You don’t need to be an athlete to be involved. All you need is determination and good support” says Ben. 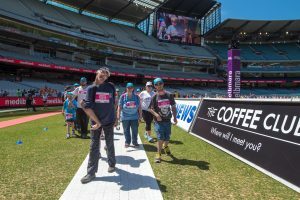 Jye Yates also crossed the finish line in the MCG on foot, flanked by fellow Scope Team Ability participants from Bendigo. Following the run, all participants enjoyed some delicious food and refreshments in the Scope Team Ability tent. Everyone relished the opportunity to relax and share their stories of achievement. Thank you to everyone for participating in the marathon, and for all the amazing donations – we are very lucky to have such an amazing Scope community. 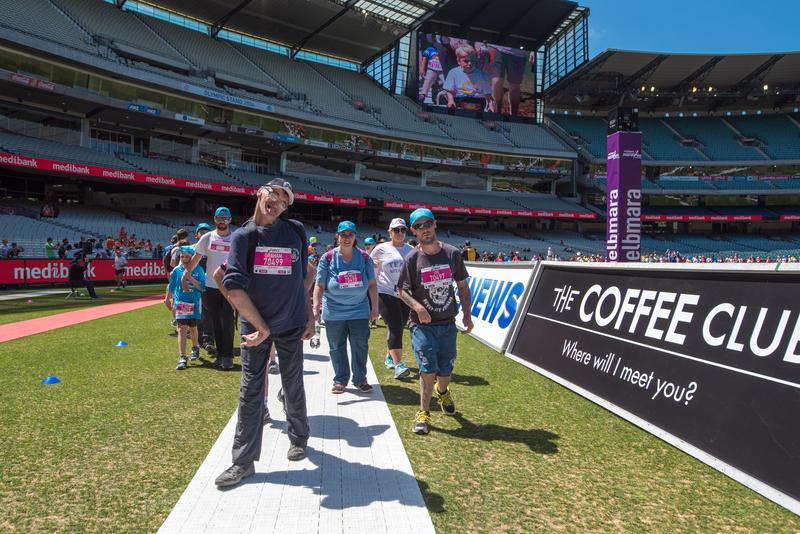 Scope Team Ability participants from Bendigo reaching the finish line of the 3km walk. From left: Charlotte Stockwell, Charlotte Ward and Kylie Martin with their 5.7km run medals.